Probably, many don't know that it is possible to view normal graphical pictures (JPG, PNG, GIF, BMP) etc. in plain console tty. Being able to view pictures in ASCII is something really nice especially for console geeks like me. Viewing in console / terminal images on GNU / Linux is possible thanks to a library called libcaca, caca labs libcaca project official website here. drawing, as well as powerful image to text conversion routines. In Debian, Ubuntu and other deb Linux distros viewing GUI images with no need for Xserver or any kind of window manager in plain ASCII is possible with cacaview. cacaview is part of a package called caca-utils. caca-utils is providing few other great utilities for ASCII freaks 🙂 along with cacaview console ascii viewer prog. variable to raw and piping the program's standard output to cacaserver. The example section of the manual points 1 example use of cacaserver to stream the console output from cacademo. 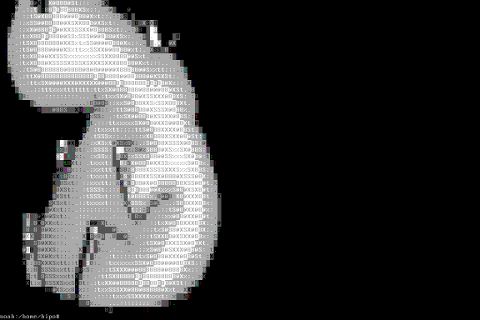 cacademo binary is a short presentation ASCII DEMO in the spirit of the old school assembly demos (demoscene) . 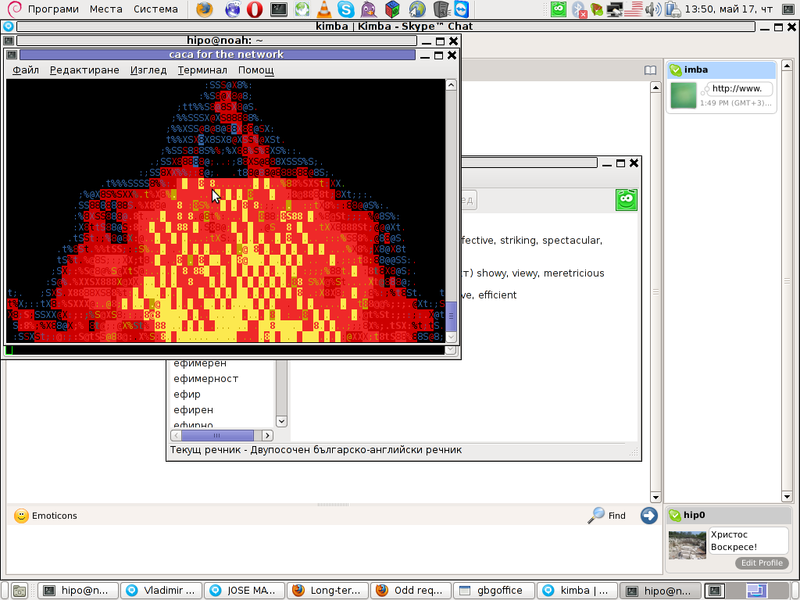 cacafire is a short application written to render ASCII via libcaca and is just displaying a screen with ASCII (moving) burning fire. cacaview takes just one argument – the picture to be displayed. Whether cacaview is invoked in GUI, the libcaca X support is used, so the text image is visualized in new window with graphics, if however it is invoked in plain let's say tty1 libcaca displays the graphics pictures drawing it with only text characters. cacaview even supports viewing, the next and previous picture in line, like in any modern graphics image viewer program. cacaview doesn't crash or stop but skip unknown file formats – if for instance encounters filenames which are not images; lets say you have *.rar archive files along with other pictures. 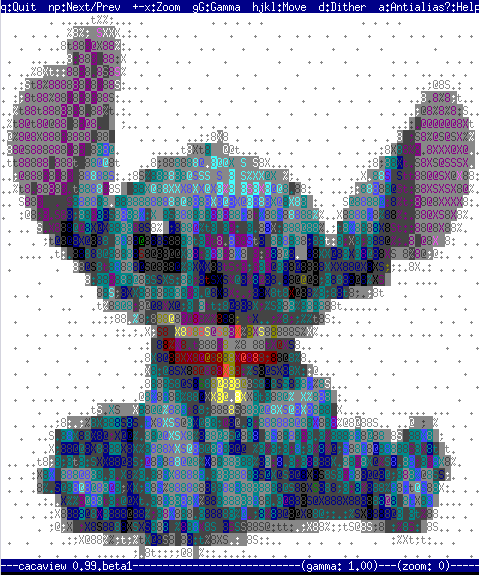 The picture colors are plain ANSI color, so in order to display properly the picture with colors on another computers or Operating System you will need at least basic support for ANSI colors. libcaca is available for FreeBSD too, but the caca-utils is not available as a port yet, though probably the deb or rpm packages can easily be ported to BSD.